Home Unlabelled The A350 XWB’s first flight: Fantastic…impressive…and quiet! The A350 XWB’s first flight: Fantastic…impressive…and quiet! The A350 XWB that flew on Friday is designated MSN1, and is an A350-900 version. This is the mid-family member of the A350 XWB Family, with the -900 to accommodate 314 passengers in a typical three-class configuration. 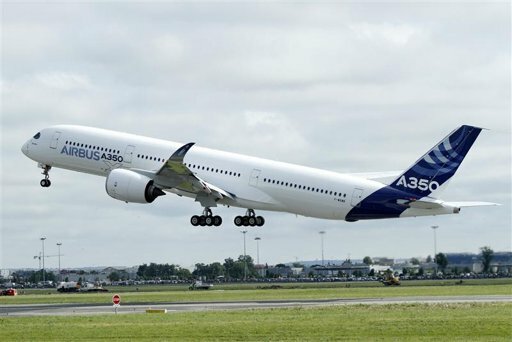 The longer-fuselage A350-1000 version seats 350, while the shortest – the A350-800 – has a capacity of 270 passengers.